I’m very happy that the church is interested in reaching my generation, the so-called “millennial” generation. But I hope you’ll forgive me for saying that when we talk about evangelism to the millennial generation, the conversation usually sounds more like market research for some product than it does about sharing a 2,000 year old truth with people. 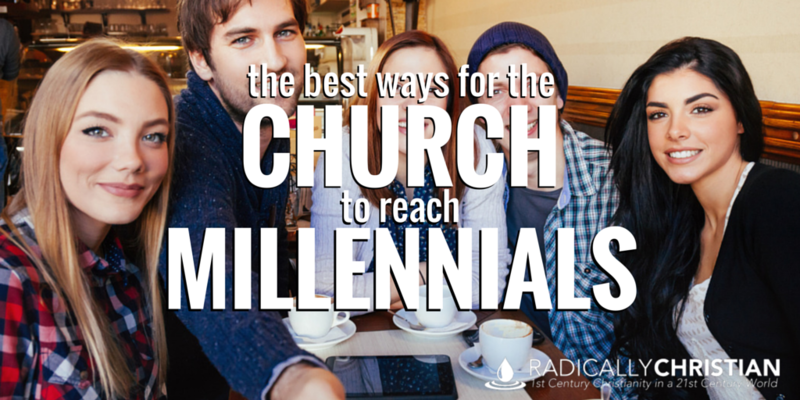 We ask, “What do millennials want in a worship service? How do millennials think? What can we do to appeal to millennials?” I’m sure a lot of this research has value, but I think there’s some important things we’re missing. I think it’s probably time we stop focusing so much on statistics and focus more on individual lost people we meet everyday. People in any particular generation are not clones of one another, so why do we treat them that way? Knowing what 73% of millennials think about a given subject won’t help you at all when you meet someone in the 27% category. Statistics have their place, but people are not statistics; they are individuals. So if you want to reach millennials with the gospel, focus on individuals. Millennials, like every other generation, need real relationships. This generation needs people to reach out and say, “Let’s go get a cup of coffee and visit.” We have to stop talking about millennials and start talking to them. It’s about relationships throughout the week, not changing the way we worship on Sundays. 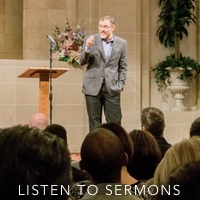 When we change the fundamental elements of our worship to accommodate people’s preferences we have not only failed to build relationships with them, we’ve also negatively impacted our own relationship with God. That’s not to say we can’t learn to do things better, but we should try to do things better to please the Lord and not to please man. Worship belongs to God. So leave worship alone and get out in the real world and build relationships with people. In order to build relationships, you’re going to have to listen to people. Again, I don’t mean listen to polls and statistics, I mean listen to real live individuals. It may be that these folks can teach you a thing or two and I’m certain that you can teach them a thing or two. But you have to listen to them, start where they are, and have the humility to admit when they make a good point. Don’t talk at them, talk with them. One thing much of this millennial generation does have in common is a deep concern for those who are hurting. They want to see that the church recognizes needs and is doing something to help people in tangible ways. If we’re going to reach them, they have to see that our Christianity extends outside the church building doors. We have to get out of the building and care for the sick, the poor, and the disenfranchised. And shouldn’t we be doing this anyway? We are told to “give to the needy” (Matthew 6:2), to “do good to everyone” (Galatians 6:10), and not to “love in word or talk but in deed and in truth” (1 John 3:18). So let’s get busy. Let’s show this generation that the church truly is the salt of the earth and light of the world (Matthew 5:13-16). If we want to help millennials become disciples of Christ we need to remember that it won’t be accomplished by taking a poll, finding out what “worship style” people like, and giving worship a makeover. We make disciples by passionately proclaiming the ancient gospel of Jesus Christ (Mark 16:15), by “baptizing them in the name of the Father and of the Son and of the Holy Spirit” (Matthew 28:19), and by teaching them to observe all that Jesus commanded (Matthew 28:20). You don’t have to be hip and cool to reach millennials. You don’t have to know all the latest research to reach millennials. In fact, it would probably be better if we were more like Paul and decide to “know nothing…except Jesus Christ and him crucified” (1 Corinthians 2:2). There’s no magic formula. Just get out there, serve people, build relationships with people, and teach them about the redeeming blood of Jesus Christ.